Based on the classic novel 'The Little Princess', this dvd will capture your heart! Young Sara Crewe's father is a wealthy man who adores his daughter. He loves his daughter and His Lord and feeds into Sara that she has worth simply by being a child of God. Sara attends a nice school while her father is away. He invested in diamonds hoping to continue his good fortune. He is killed in a battle though and his fortune goes bust. Sara is not able to pay the school bill and now becomes a servant. She goes from rich to poor instantly. She knows her true value is in God, something that money won't change. She is able to encourage and minister to the other servants at the school. I love how this film shows the value is internal and nothing can change that. The character of Sara is just like we should strive to be. She is fun, and compassionate, nice to everyone. I was concerned that my boys wouldn't care for it as the heroine was a girl. They loved it still. The characters are so comical, that it keeps even my 17 year olds attention. I loved the new song BFF!! It was so cute that they incorporated texting into the song. 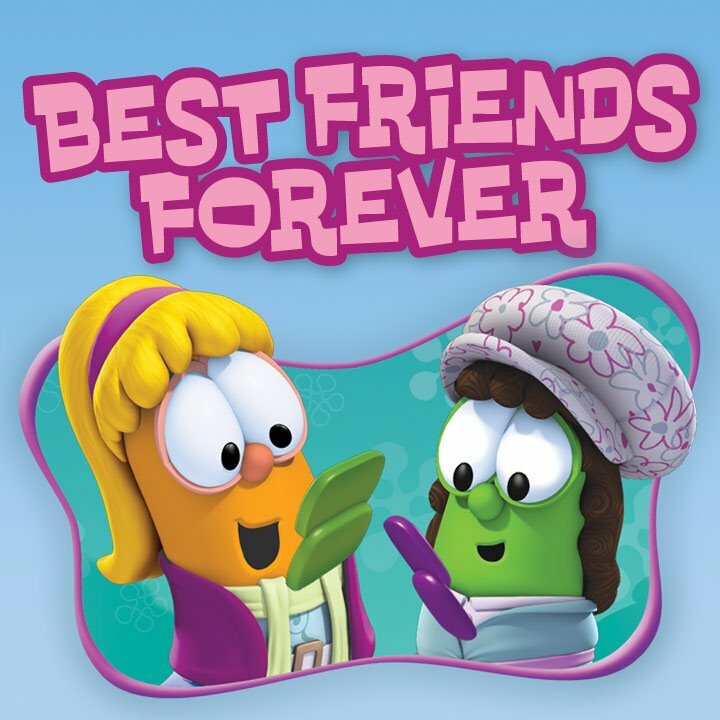 I have been watching Veggie Tales for 15 years and it is neat to see how it progresses with the times, yet keeps the central message of your worth in God. Enter to win your copy of this new DVD!! USA only. Ends Sept 5th. 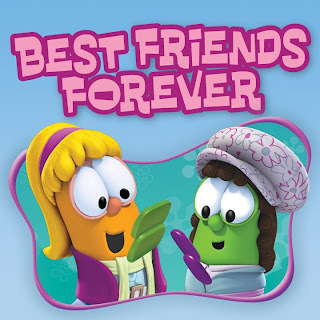 My kids haven't seen any Veggie Tales movies yet, they've just read several of the books! Madame Blueberry is my all-time favorite! I have seen snippets of the movies, but I am not sure which ones they were. I was a bit old for them when they came out and my daughter isn't quite old enough for them now, but that time will get here before I know it! Madame Blueberry is my favorite....just thinking about the movie makes the songs start going through my head. I like all of them... it's too hard to pick a favorite. I really like the silly songs, though. The one with the Silly Songs. My daughters have The Pirates Who Don't Do Anything, but I know they have and love tons at their grandparents' house. No favorite yet, I would like my son to start watching them. This is for my Niece,so I don't know if she's seen any of the Movies!